This publication documents what was addressed during the workshop. 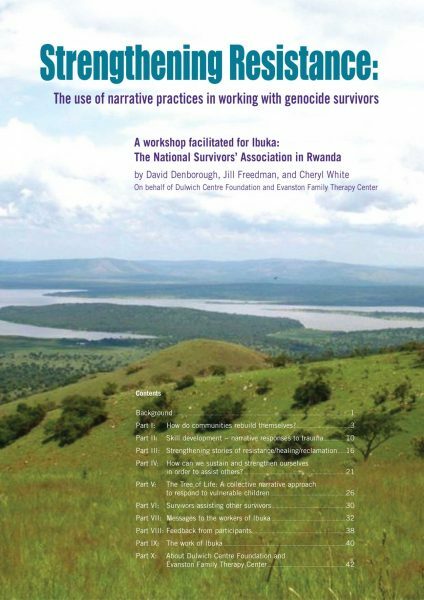 It also documents the skills and knowledges of genocide survivors in dealing with the effects of trauma in their lives. This is a powerfully moving and inspiring testimony. At the same time, this publication practically demonstrate how narrative approaches can be used in situations of extreme trauma in order to strengthen hope in contexts of hopelessness.